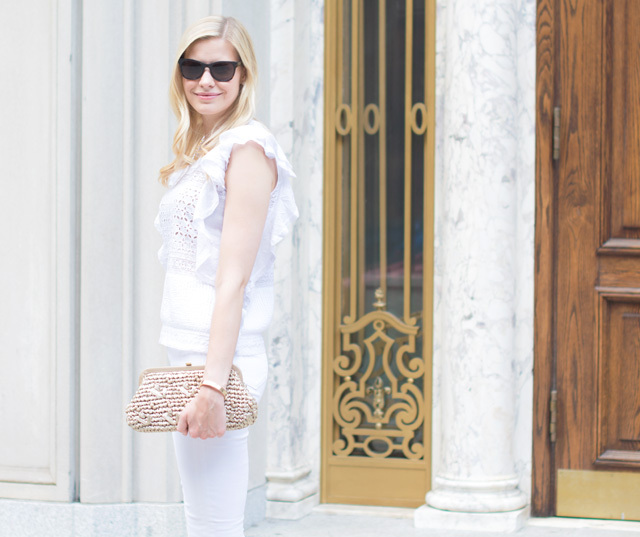 This summer I just can't seem to get enough whites. Whether it's a dress or separates, I just love the crisp look of an all white look paired with gold and neutral accessories. I found this shirt a couple weeks ago while out shopping and knew I immediately wanted to pair it with my white skinnies for an all white chic look. Wow...in love! Making a splash in all white! Beautiful, I love an all white outfit! It;s so clean and crisp! You look great.